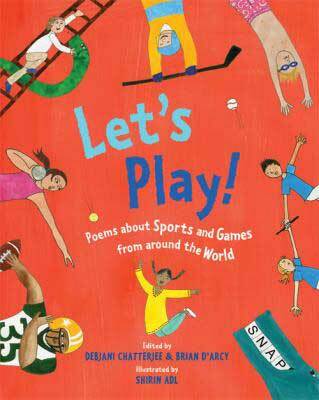 Let’s Play is an exuberant collection of poetry that makes perfect reading for any child passionate about sport. Compiled by husband-and-wife team, award-winning poets Debjani Chatterjee and Brian D’Arcy, and imaginatively illustrated by Shirin Adl, Let’s Play is a valuable companion to their first collaboration, Let’s Celebrate: Festival Poems from Around the World, and offers a great resource for teachers to dip into with a class. 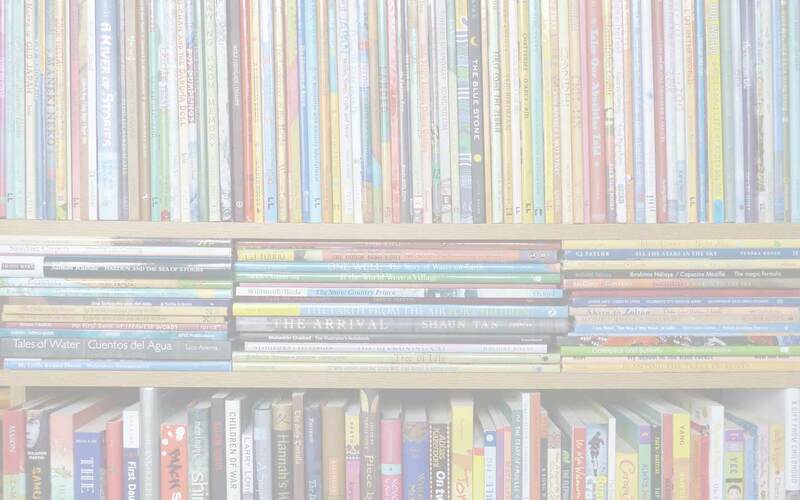 However, individual children will be drawn in by the colourful illustrations and hooked by the energetic poems too, so teachers might be beaten to it in the school library! The collection opens with the first stanza of ‘Vitai Lampada’ by English poet Sir Henry Newbolt (1862-1938). Within the context of the poem as a whole, the suspense of the final stages of a closely fought school cricket match becomes a metaphor for life, with particular reference to a soldier doing his duty on the battle-field (a topical enough area at the moment, as we reflect on the centenary of the First World War with its huge shift in perception and social mores, so clearly traceable through the poetry of the time; Newbolt’s poem, published in 1897 was very popular at the beginning of the War). However, these questions are not raised by the poem’s inclusion here, and readers are able to focus on Newbolt’s intense evocation of all the emotions and excitement that still pertain to being a part of a sports team, and relate them to a more relevant metaphor for playing one’s own game of life. Shirin Adl’s illustration emphasises the poem’s relevance to all sports, not just cricket, by showing a park filled with adults and children alike engaged in and watching all sorts of games. The final poem in Let’s Play also provides a metaphor for playing the game of life – this time the famous extract from American sports journalist and poet Grantland Rice’s ‘Alumnus Football’. By framing the collection in this way, Chatterjee and D’Arcy give an added resonance to the collection as a whole. The poems in between are less figurative, but they each convey their individual games with an infectious intensity, whether from the perspective of a player or a spectator, a winner or a loser. Indeed, as befits a well-rounded anthology, there are poems to suit all emotions – enthusiasm, admiration (‘When My Friend Anita Runs’ by Grace Nichols); veneration (the anonymous ‘On the Outside, a Judoku’, translated from the Japanese by Philip S.Porter); exhilaration (‘Basketball’ by Grace Butler); defeat (‘4 x 100m’ by Rob Walton)… There are traditional clapping rhymes from the Caribbean and the USA and a skipping game by Bashabi Fraser, as well poems covering what until now might have been considered less physically energetic games – ‘Computer game’ by Charles Thomson sends the imagination flying; and there are dangers lurking in both the brilliantly illustrated ‘Scrabble’ by Rob Walton, and ‘Shaap-Ludo’ by Susmita Bhaatcharya (about the game known elsewhere as ‘Snakes and Ladders’ or ‘Chutes and Ladders’ – and it was fascinating to learn from the excellent backmatter that this game originated in ancient India and was based on the quest for moksha or ‘salvation’). Adl’s illustrations are as energetic as the poems themselves and draw on their wit and exuberance. As ever, she uses multi-media collage to great effect. I particularly like cross-eyed Dad with his nose stuck in his tennis racket for Greg Pincus’ pithy ‘Tennis Doubles Trouble’; and all the fish and sea-creatures that take Denny Davis’ ‘Swimming Lesson’ beyond the boundaries of a swimming pool. There are lots of details to pick out, such as one open-mouthed boy holding very tightly onto a kite that could just get away, alongside Chatterjee’s soaring ‘Kite Flying’. I’m glad she doesn’t emphasise the lost thumb-nail in Asit Maitra’s ‘The New Gavaskar’ but no doubt boys reading the poem will appreciate its value as a trophy gained in emulation of the narrator’s cricket hero, Sanul Gavaskar! From classics through to contemporary takes from all over the world on a huge variety of sports and games, there is a poem for everyone in Let’s Play – it’s a beautifully presented anthology that fairly zings with the energy you’d expect from a book about children and the games they love, wherever they come from. Alumnus Football, Asit Maitra, Bashabi Fraser, Brian D'Arcy, Charles Thomson, Debjani Chatterjee, Denny Davis, Frances Lincoln, Grace Butler, Grace Nichols, Grantland Rice, Greg Pincus, Janetta Otter-Barry Books, Let's Play! Poems About Sports and Games from Around the World, MWD book reviews, Philip S. Porter, poetry for children, Rob Walton, Robert Louis Stevenson, Shirin Adl, Sir Henry Newbolt, Susmita Bhaatcharya, Vitai Lampada. Bookmark.